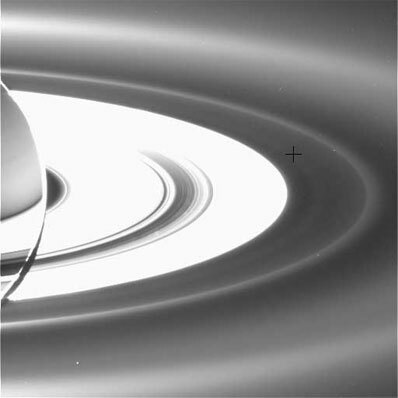 Saturn sports a new ring in an image taken by NASA's Cassini spacecraft last Sunday during a one-of-a-kind observation. Sunday's occultation allowed Cassini to map the presence of microscopic particles that are not normally visible across the ring system. 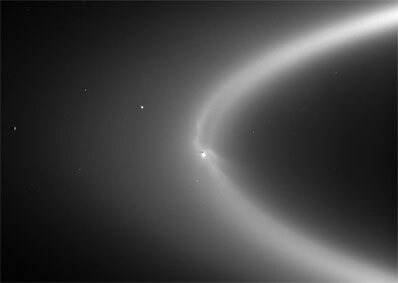 As a result, Cassini saw the entire inner Saturnian system in a new light. The new ring is a tenuous feature, visible outside the brighter main rings of Saturn and inside the G and E rings, and coincides with the orbits of Saturn's moons Janus and Epimetheus. Scientists expected that meteoroid impacts on Janus and Epimetheus might kick particles off the moons' surfaces and inject them into Saturn orbit, but they were surprised that a well-defined ring structure exists at this location. 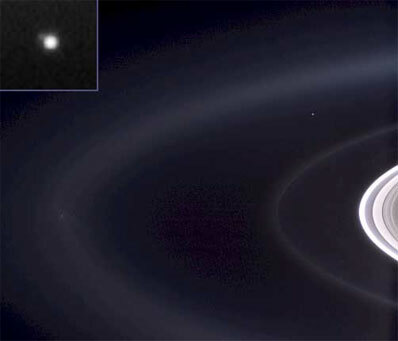 "Nothing has greater power to alter our perspective of ourselves and our place in the cosmos than these images of Earth we collect from faraway places like Saturn," said Carolyn Porco, Cassini imaging team leader at the Space Science Institute, Boulder, Colo. Porco was one of the Voyager imaging scientists involved in taking the Voyager `Pale Blue Dot' image. "In the end, the ever-widening view of our own little planet against the immensity of space is perhaps the greatest legacy of all our interplanetary travels."